Final Stage is a cross-industry talent sharing platform working to connect pre-vetted candidates with companies looking to become more efficient in their search for talent. Although recruitment teams spend a lot of time and resources engaging with talent, the majority fail to realise any value from individuals once it becomes apparent that they are no longer going to be associated with the company. The Final Stage platform enables companies to share their unutilised talent with a community of employers and in return, open up numerous benefits that will drastically improve their recruitment practice. Ensure a great candidate experience and help maintain brand perception by offering your unutilised talent a helping hand going forward with their career. Increase brand exposure and attract talent that may have not previously considered your employment opportunities by sharing events, videos and roles with the community. Extract value from unutilised talent and make use of this spillage to open up new pools of active, pre-vetted talent, reducing costs when finding future hires. 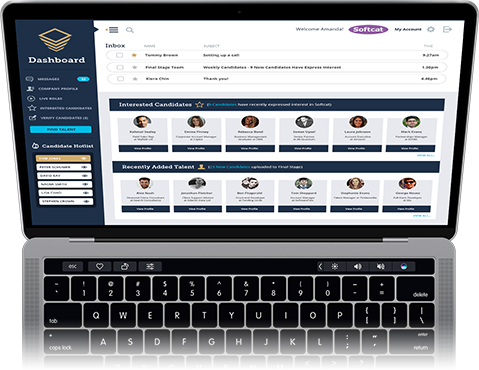 Keep track of talent that you’ve previously invited to the platform, allowing you to re-engage with candidates as new opportunities arise or situations change.